Japanese eyeglass manufacturing company Masunaga Optical has launched a revolutionary pair of spectacles. Called Wink Glasses, the specs are designed to prevent eye wear and eye strain via modern technology. How they work is a liquid crystal sheet on the lenses fogs up and forces blinking. Every five seconds, if you don’t blink, sensors tell the glasses to fog up until you do. Yay for technology! Do you have issues with blinking? Is this a common problem? Are people just staring at things so long their eyes burn out? I don’t get how there’s even a market for this product, but then again I’m not the sort of person who fries out his eyeballs by staring at video games and whatnot. I mean, I do play my games, but I also remember to blink once my eyes start to get uncomfortable. 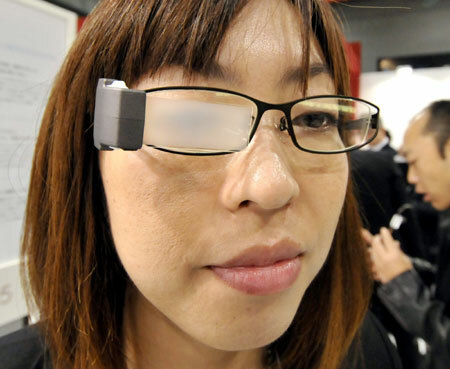 Still, it’s pretty cool that these glasses monitor your eyes. If only there was some way you could build this technology into some kind of automatic black-out sunglasses that filter on when the sun gets too bright and turns off immediately (rather than gradually) when you go inside. The gradual is nice, but I want instant gratification.